Creative and Cool Reuse of Old Gadgets and Electronics. Collection of creative and cool ideas for reusing old gadgets and electronics. 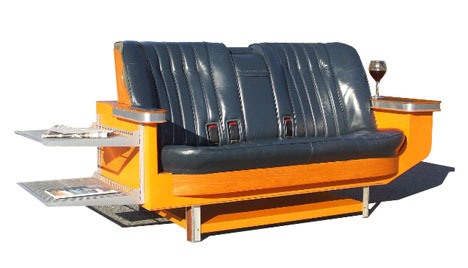 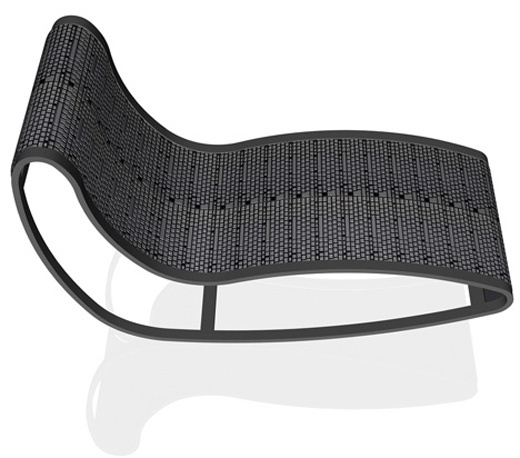 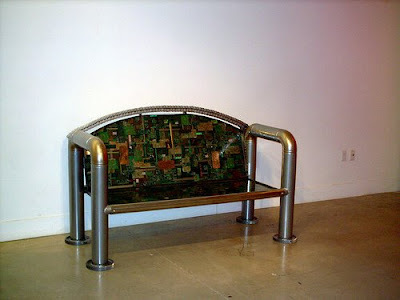 Fridge Couch: Canadian designer Adrian makes customized couches from vintage refrigerators and old car seats. 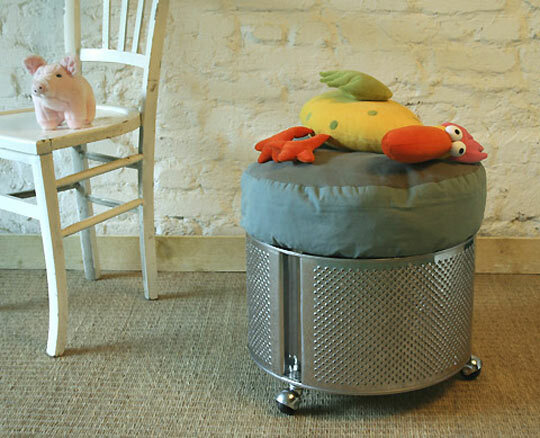 Washing Machine Ottoman: By adding wheels and a cushion to a washing machine's drum, you've got a cool ottoman. 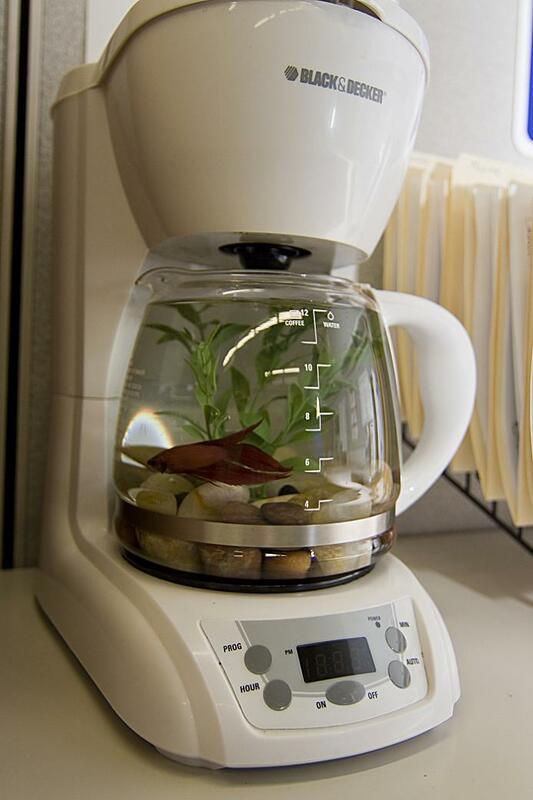 Coffee Maker Fishbowl: An old coffee maker is turned into a cool fishbowl. 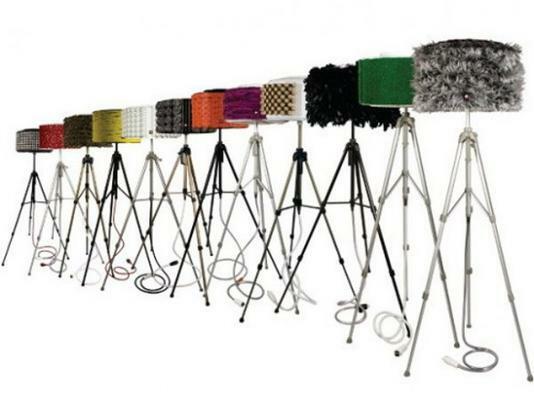 Blödes Orchester: Approximately 200 antique vacuums, mixers and washers are transformed into musical instruments and arranged like a symphony orchestra by Petermann, a German conductor and composer. 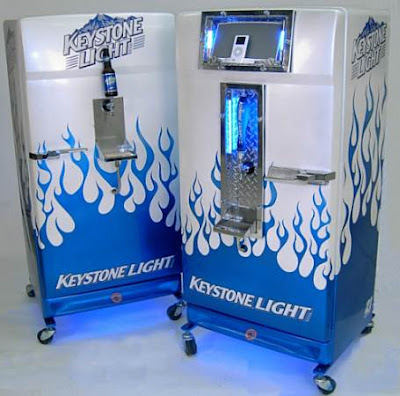 iPod Kegerator: Old fridges are turned into Kegorators with iPod dock. 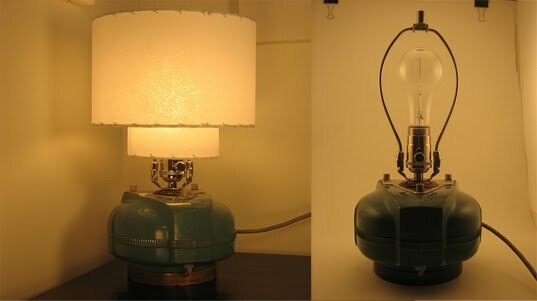 Wash Lamp: Wash Lamp is a lighting collection designed to reuse drums from old washing machines. Washing Machine Table / Lamp: Turn the old washing machine's drum into a cool lamp/end table. 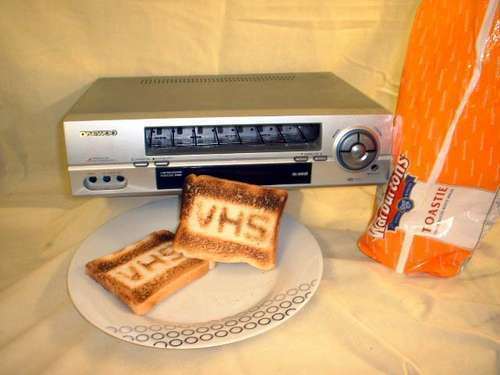 VCR Toaster: Turn your old VCR into an unusual toaster. 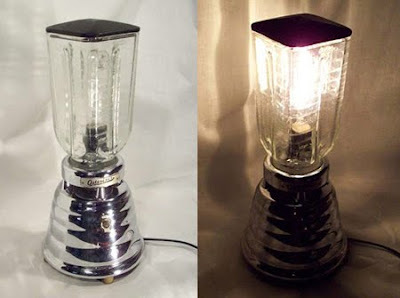 Blender Jar Lamp: This clever lamp by BootsNGus is made from an old blender, it's a perfect mixture of style and sustainability, looks good in any kitchen. Sculpture Made of TV Sets: Lithuanian artist Gintaras Karosas built the worlds' largest artwork made of TV sets LNK Infotree at Europos Parkas. 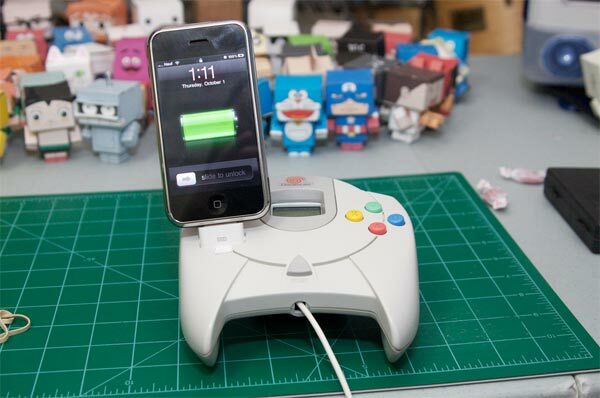 Sega Dreamcast Controller iPhone Dock: Cool Sega Dreamcast iPhone dock created by Jay Hauf. 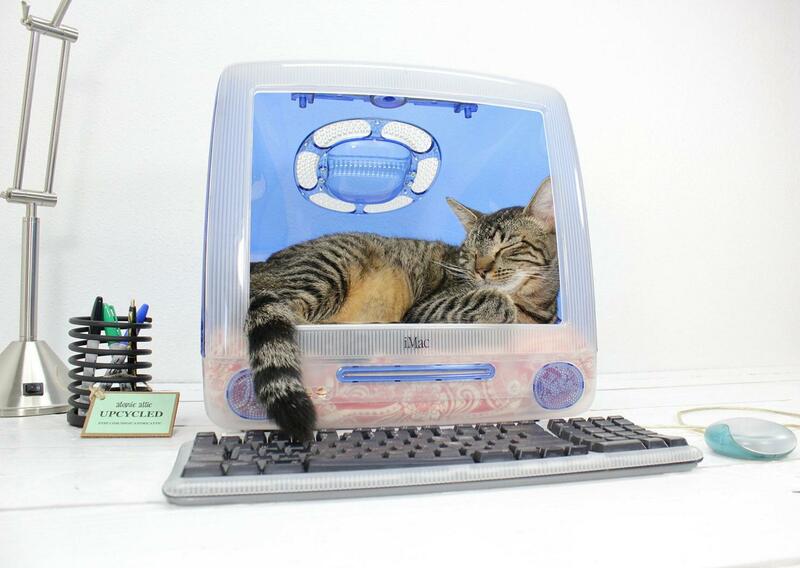 Apple Computer Cat Bed: Old original iMacs are turned into comfortable cat beds. 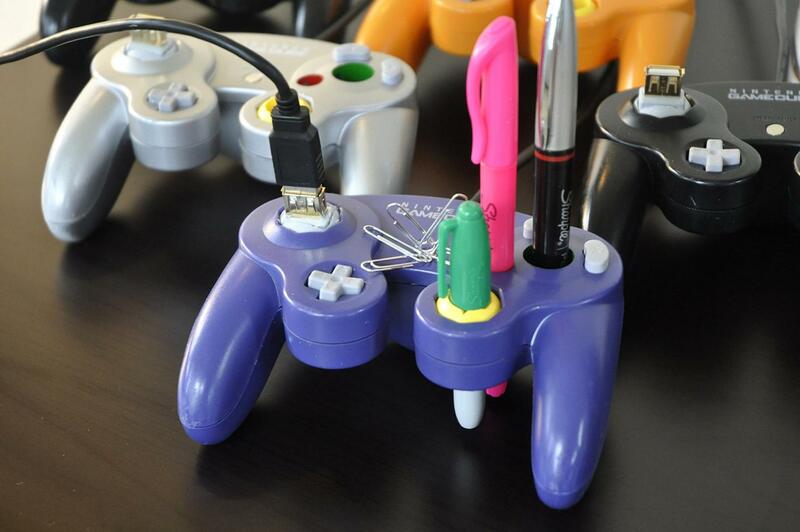 Controller Deskmate with USB Extension: It stores pens and paper clips, and it comes with a 3-ft. extension cable for your computing convenience. 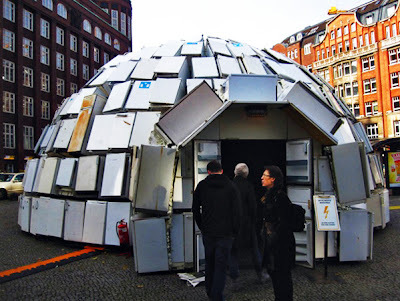 Fridges Igloo: Artist Ralf Schmerberg created this 11 meter-wide igloo from 322 old refrigerators in the center of Hamburg, Germany. 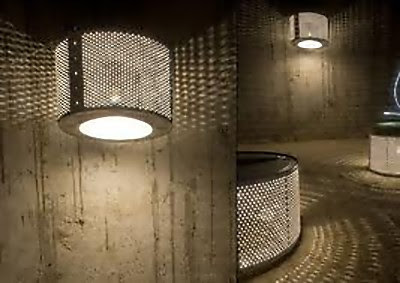 Rewash Lamp Project: Rewash Lamp Project by Portuguese designer Tó Martins uses old washing machine drums and transforms them into these cool lamps. Reuse Dishwasher Racks: The lower dish racks can be placed under the bed for convenient rollout storage or for storing books by the bed. 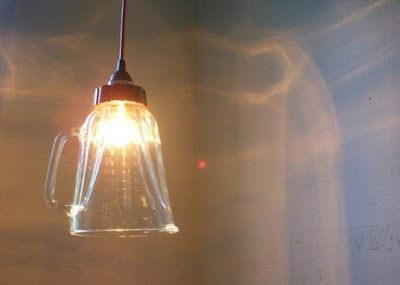 Vacuum Cleaner Lamp: An Electrolux vacuum cleaner transformed into lamp. 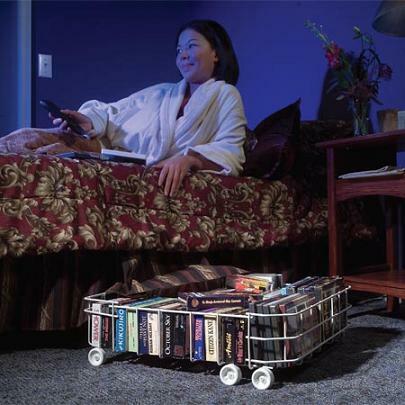 Boombox Speakers: Turn old cassette boomboxes into general purpose speakers. Mac Mailbox: Turn your old Mac into a cool mailbox. 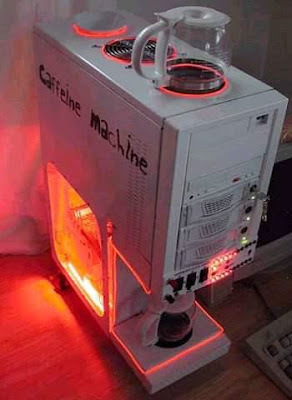 CPU Coffee Maker: How about turning your old CPU into a coffee maker. 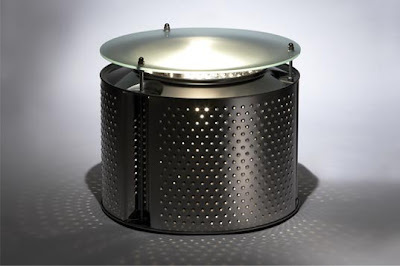 Reuse Household Appliances: Household appliances such as kettles, coffee makers or toasters, are typical of goods that are discarded while in perfect working order.Tto produce a range of electrical devices, a business model is developed based on such resources, with simple and low cost solution. 15 Unusual and Creative Bicycles - Part 2. 15 Creative Wooden Gadgets and Designs - Part 2. 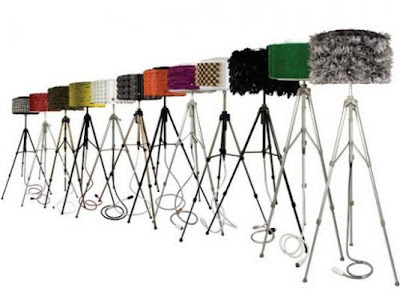 15 Cool Wall Hooks and Creative Coat Racks - Part 3. 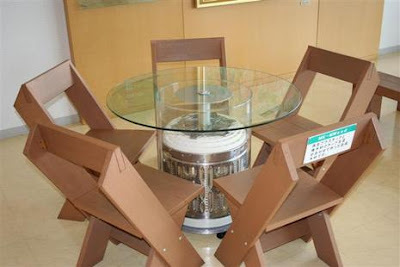 15 Modern Tables and Creative Table Designs - Part 3.